When architects design buildings, they think about more than just style or aesthetics. They also consider the user experience — how occupants will move about in, function in, and even enjoy a building. And now a new tool, the Internet of Things (IoT), is taking design to a whole new level. An Internet-enabled facility can interconnect building systems to optimize lighting controls, reduce energy waste, and increase worker productivity. Such a facility can respond to and actually anticipate occupants’ needs and activities. Imagine a building where employees scan a badge or present a smartphone-based credential to gain access. Their entry triggers the building’s other systems to turn on the lights, adjust the temperature, and alert security that someone has accessed the building. While access control may be the “trigger” for all of these functions, the entire system is based on a sophisticated automation system. This system allows every aspect of a building’s operation to be networked, from lighting and intercoms to access control, video, fire safety, and climate controls. A building that has an integrated security and access control system can also integrate energy and water use, ventilation, and more. Standalone intelligent controllers can reduce lighting expenses by as much as 40 percent, according to ENERGY STAR. Buildings with strong southern light exposure can adjust HVAC and lighting based on actual conditions rather than a fixed schedule. This takes advantage of natural heat and light to reduce energy use. Having sensors on doors and windows can help detect when they are open. This could automatically trigger the HVAC or alert security personnel to a possible unauthorized entry. Martens says incorporating IoT into buildings must begin during the traditional design planning process. Like with access control, plan early for other IoT functional elements such as temperature, sound and lighting. The opinions expressed in this piece are solely Allegion’s. They do not necessarily represent WESCO’s views. 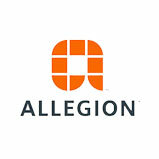 Allegion is one of WESCO’s leading security suppliers who focuses on security for doors and adjacent areas. They produce everything from mechanical locks to advanced biometric scanning devices.